Joe Nash aka entertainer Jay Lamont is a graduate of Langston University with a B.A. Degree in Broadcast Journalism. He started out working as a radio personality for radio stations in Oklahoma City and Houston, Texas. He has opened for such artists as The Gap Band, The O'Jays and the late Roger Troutman. 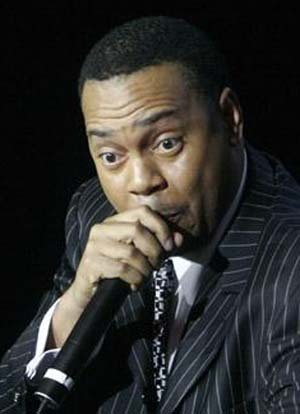 During the time in Houston, he has performed at a local comedy club where he met various individuals who would help in broadening his career. Jay has appeared on the first season of BET's Comicview and later, he appeared on Showtime at the Apollo, Russell Simmon's Def Comedy Jam and Jamie Foxx presents Laffapalooza. Jay has opened for some of the biggest names in the industry such as the late great Luther Vandross, MAZE featuring Frankie Beverly, D.L. Hughley, Steve Harvey, Tommy Davidson, Cedric the Entertainer, Mike Epps and Jamie Foxx. Jay is multi talented as he has played in the Hit Stage Play 'Mama's Sweet Potato Pie and a member of two R&B groups in which he's the lead vocalist. Once you have since Jay you will be amazed at what he does. Comedian Jay Lamont!